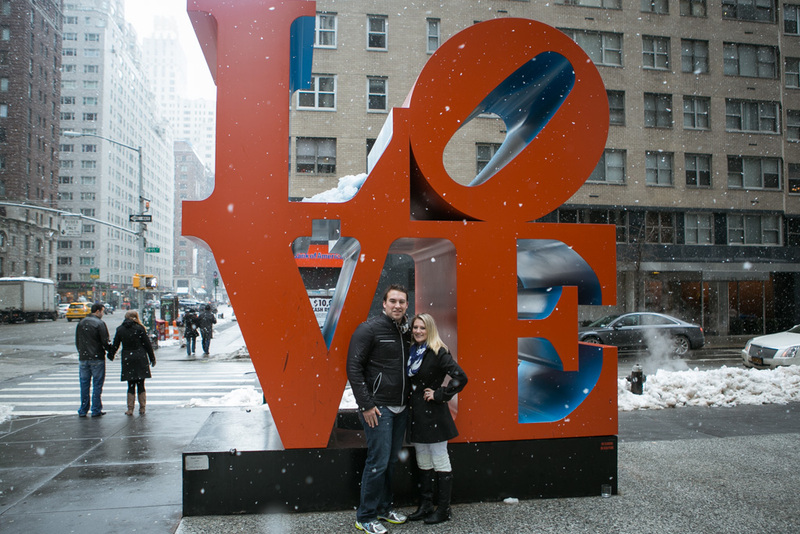 Texans never get to see much snow, so Matthew and Sara's Valentine's Day trip to New York was memorable forCentral Park more than one reason. 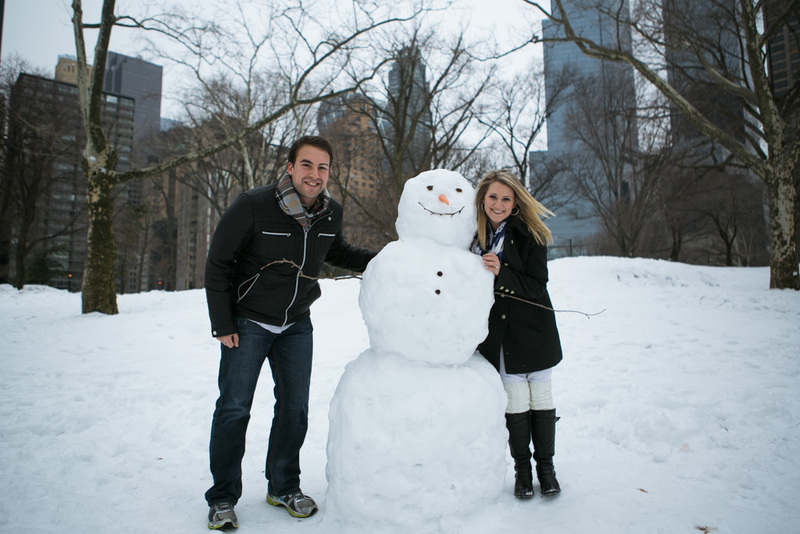 While wandering through the wintry wonder of Central Park, Matthew found the perfect spot (without too much snow!) 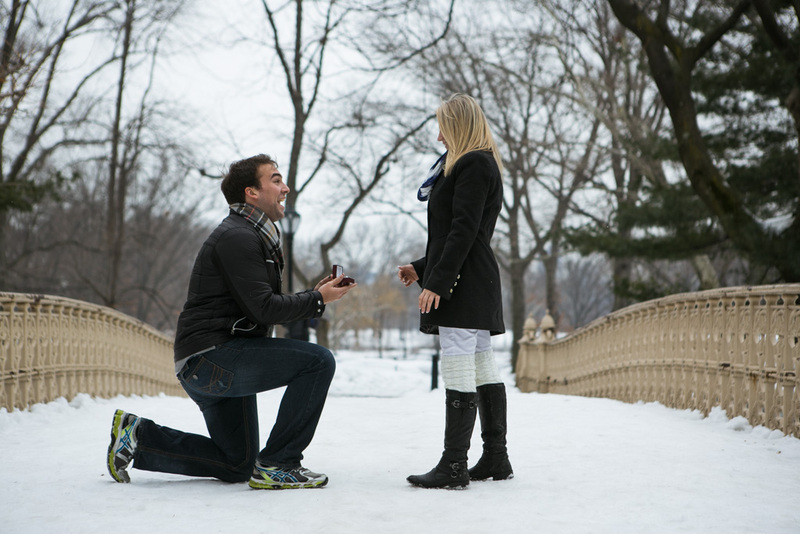 to go down on one knee on Pine Bank Bridge. I love the photo of them holding hands in the copse of trees! 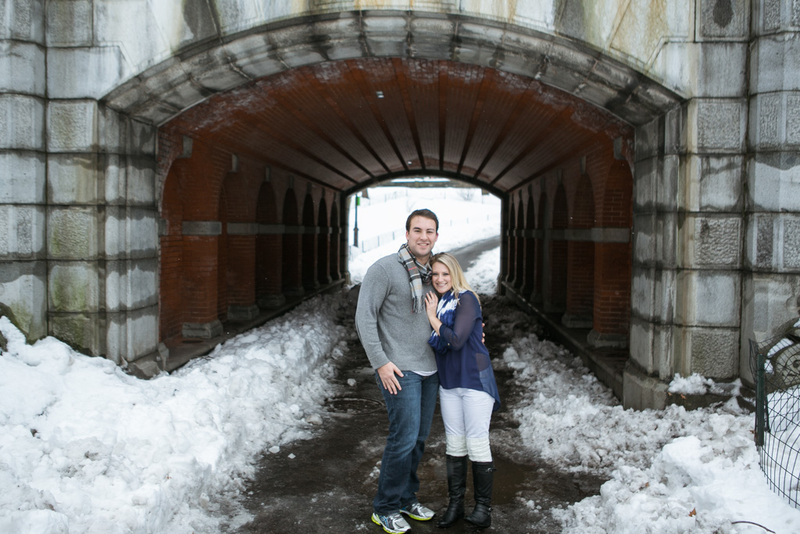 The excitement and joy of this foray out into Olmsted's snowy landscape is reflected beautifully in Sara's warm smile.